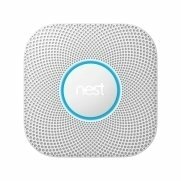 Nest offers simple products that take care of the people inside it. 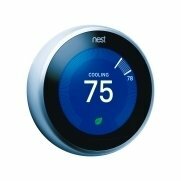 It’s time to expect more from your home thermostats, alarms, and cameras. The Nest Thermostat programs itself then pays for itself. The updated Thermostat has a thinner, sleeker design. Sharper display. Save an average of 10-12% on heating bills and 15% on cooling bills. Nest Protect quietly and automatically tests itself so you don’t wake up in the night to a chirping alarm. The alarm sends alerts to your phone. It’s the first home alarm you can hush from your phone. It lasts for up to a decade. Protect your home and your family while you’re away with live streaming 24/7. 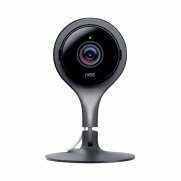 Nest cameras have been used to prevent crimes, frighten intruders away, and to positively identify intruders. Indoor and outdoor cameras available.